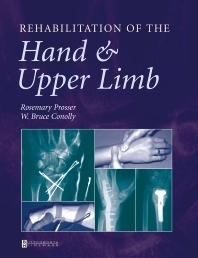 This valuable resource describes the rehabilitation technique for conditions of the hand and upper extremity in one practical volume. Edited by an experienced hand surgeon and hand professional of international reputation, this authoritative text is heavily illustrated, comprehensive in its coverage, and contains a range of contributions from acknowledged experts in the field. An invaluable companion, it is ideal for physical therapists, occupational therapists, hand surgeons, and all those involved in the assessment and treatment of patients with conditions of the hand and upper extremity.